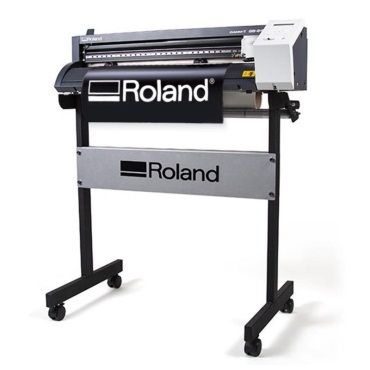 Learn how to cut a vinyl self-stick decal using the Roland Vinyl Cutter. These decals can be pressed on car windows, office windows, doors, walls, notebooks, phones...anything you like. They are not permanent and can be removed easily. We have lots of vinyl colors to choose from. You can bring your own image on a flash drive, or choose one from our library of images.